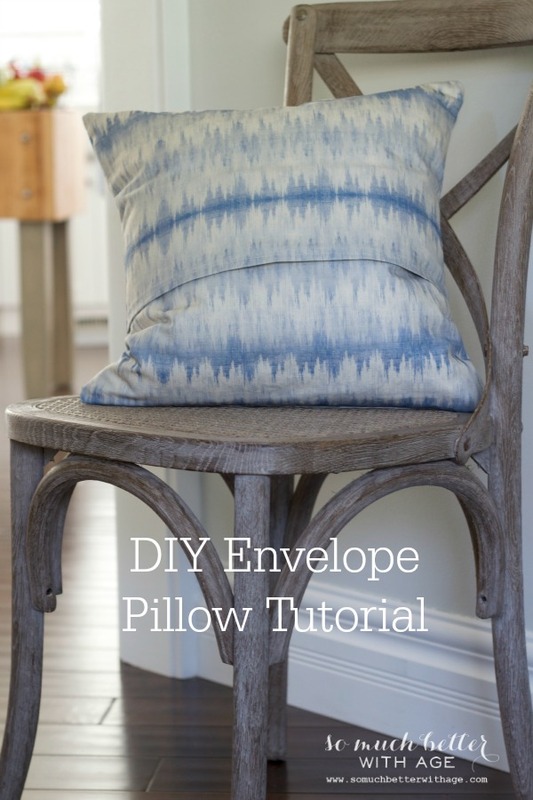 This DIY envelope pillow cover tutorial is the easiest way to make a beautiful pillow cover. 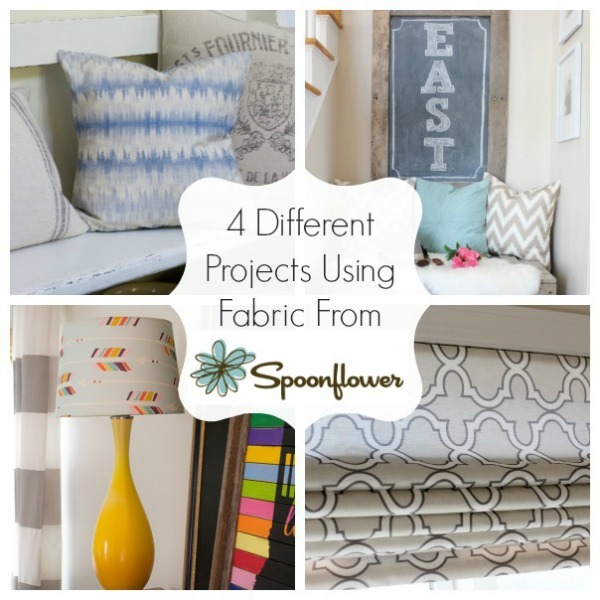 I’m teaming up today with some popular bloggers (Shauna from Satori Living, Jennifer from City Farmhouse and Becky from Infarrantly Creative) to show how we took two yards of fabric from Spoonflower and created a project from it. We each didn’t know what each other was making so it’s been fun to see what the others came up with! 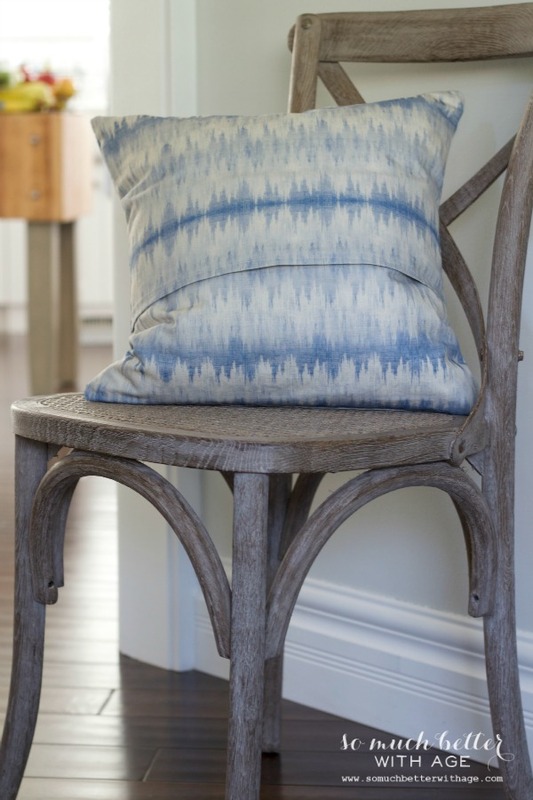 This is the beautiful ikat blue fabric I picked from Spoonflower. 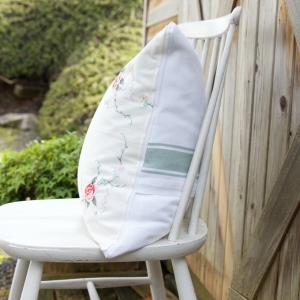 Did you know you can design your own fabric with Spoonflower? Amazing! You should definitely check them out. 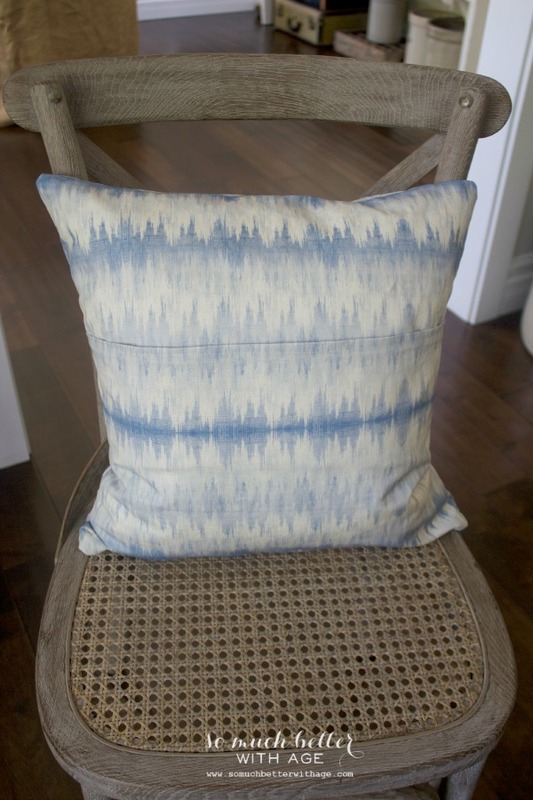 I’m in LOVE with this fabric! 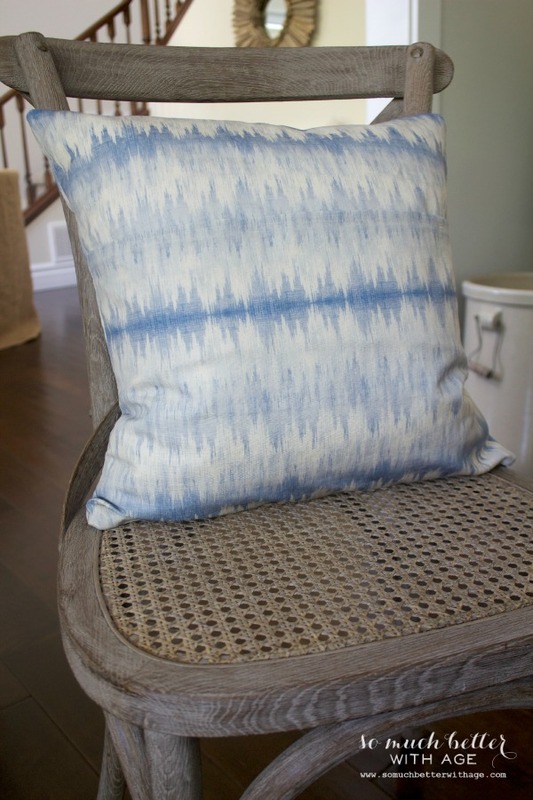 I want to order more and make more of these pillows for my bonus room. 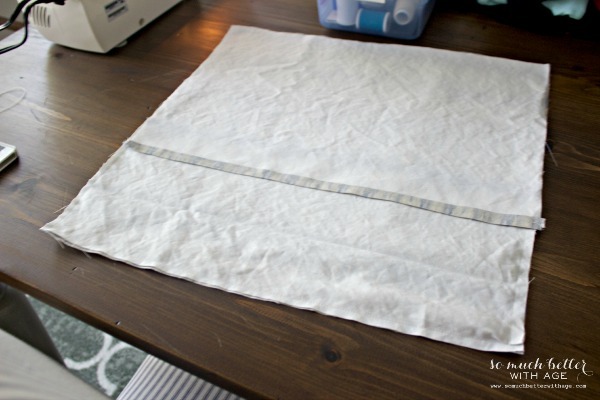 Wash and dry your fabric (if it’s a natural fibre fabric) so it doesn’t shrink later on. 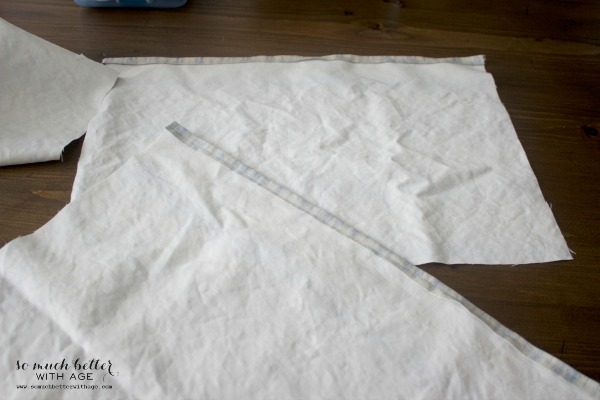 You’ll need to cut two pieces of fabric, cut piece A 18×18 inches. Cut piece B 18×26 inches. Then cut piece B in half. Hem one side of each B piece (the longest side). 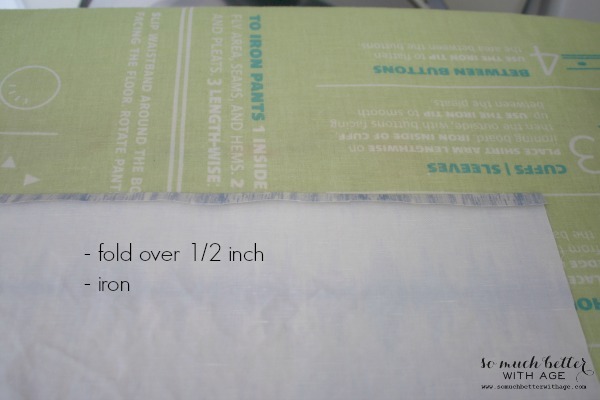 To hem, fold over 1/2 inch and iron. 6. 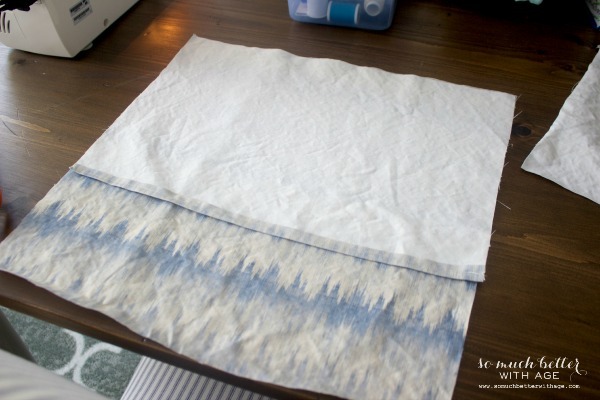 Then fold over 1/2 inch again and iron. Sew into place. Now you’ll have two pieces that look like this. 7. Lay one B piece over piece A with fronts facing each other. Pin and sew together. 8. Now lay the last piece over, pin and sew together. You’ll notice it will overlap the first piece by about 5 inches. That’s what you want! 9. This is what it will look like inside out when you’re all done. 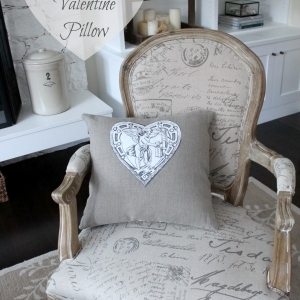 Iron it, turn it inside out and stuff your pillow form inside. You can see the envelope enclosure in the photo below. I couldn’t be happier with the way it turned out! 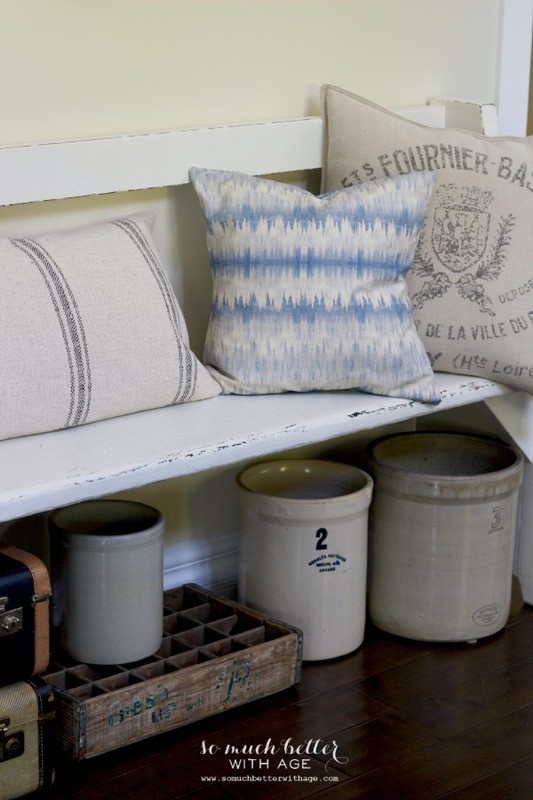 Why not make your own envelope pillow cover? 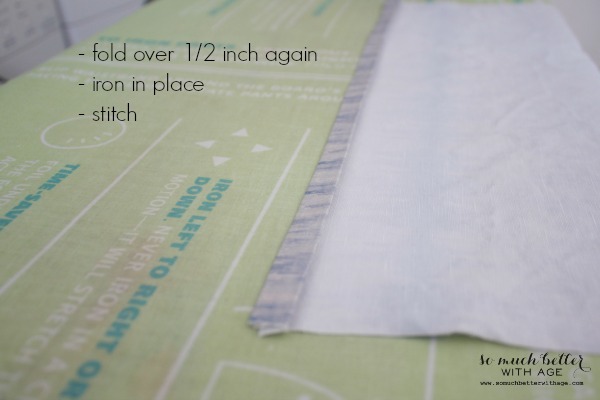 Now be sure to check out what my co-hosts did with their two yards of fabric from Spoonflower! Thanks for having me, Shauna! 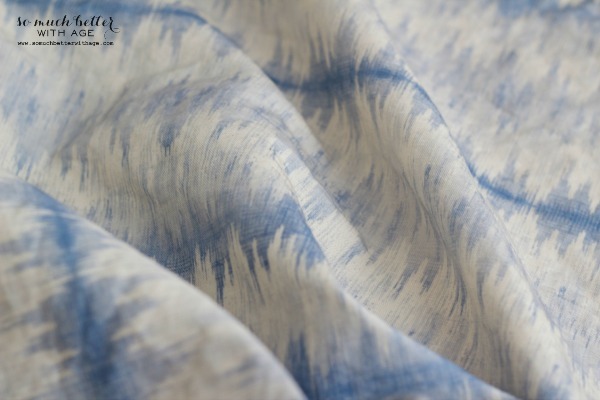 The fabric is gorgeous! I’ve been super into blue lately. Have a great rest of the week! What seam allowance did you use? Was it 3/8″? I’m not sure, Anne. I usually eyeball about a half inch. 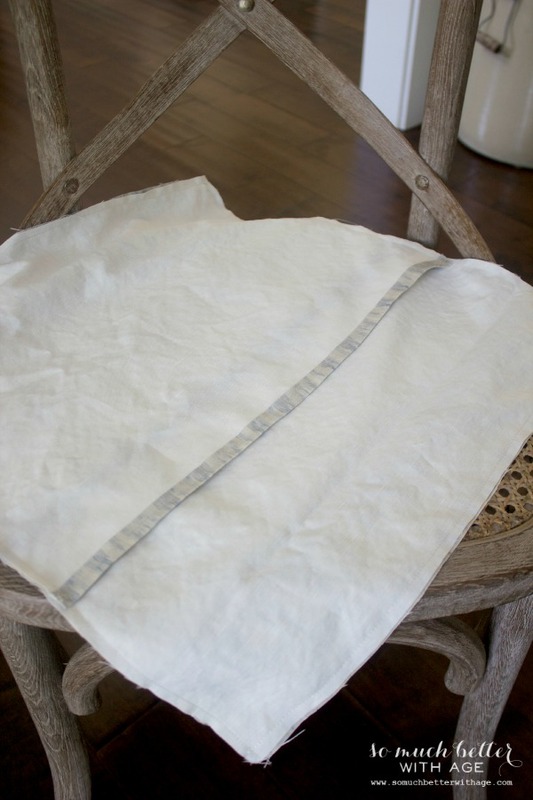 Hi, I am a novice at sewing so I have a question about the envelope cover. When you say cut piece B in half, which side? The long or short? Also, my pillow is 23 X 23 so do I add 8″ to piece B for the long side? Sorry for the confusion. 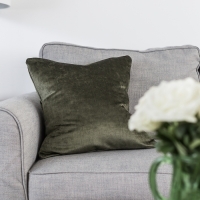 If piece B is lying down with 18″ at the top (width) and 26″ at the sides (length or height), you would cut it in half horizontally right in the middle. And yes you’d add 8″ to the B piece. Essentially that’s the side that will be overlapping to make the opening in the pillow. 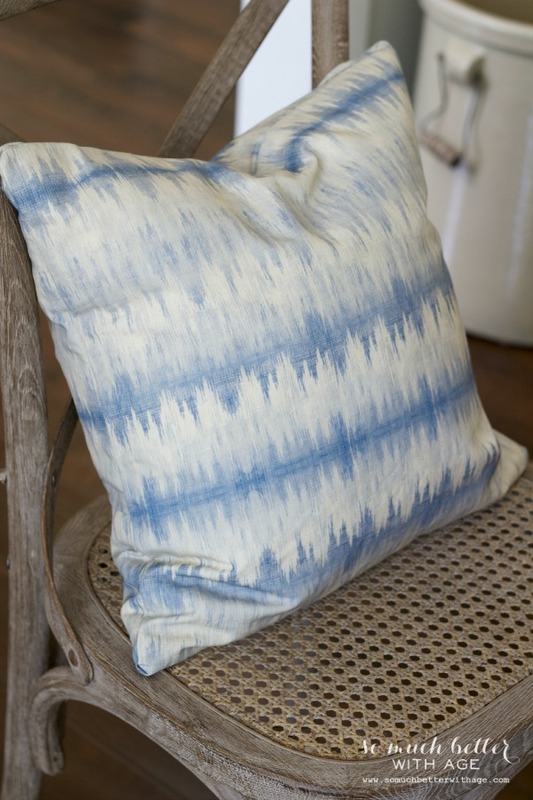 I love the look of this pillow. Very feminine and classy. Thanks for posting! 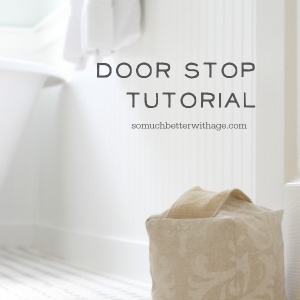 Simply great tutorial with detailed instruction in images. Thanks Jamie for sharing this tutorial. 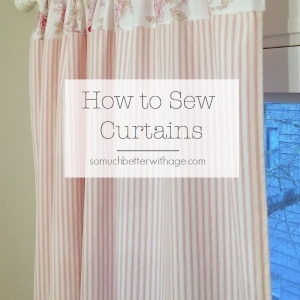 I have basic knowledge of sewing. Hope I can be able to make this too. These look so fun, definitely need to try to make some! Great tutorial! 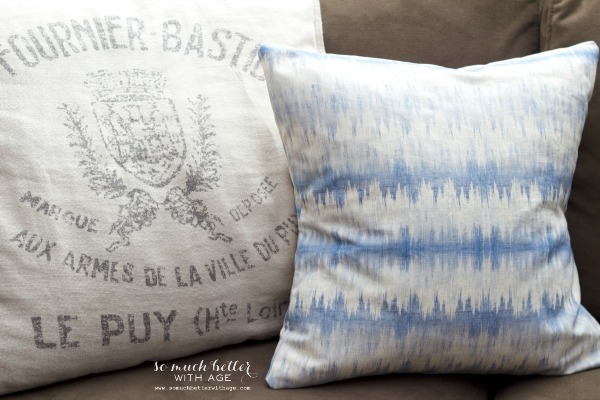 These pillow covers easy to make by following your tutorial. I will definitely make these. Thanks for sharing. I had to doublecheck this too 😉 You want it the same size so the pillow will squish into the pillow cover or else there’s too much space and it doesn’t push up. I found this to make a nice fluffy pillow. I’m confused. It says cut the 18×24 piece in half, but then in the instructions it says to use the larger piece??? What am I missing? Thanks for the reply. I went ahead and cut it in half and it came out great! Such a quick, easy project and now my best friend’s baby quilt has a matching pillow. Thanks for this tutorial! I’m so glad it worked out for you, Bethany! I’m sure your best friend loved something homemade from you. Nice tutorial. I couldn’t remember how much to over lap the back. Funny thing is I am using one of my Spoonflower designs for the front. That’s too funny, Kathy! Thanks for stopping by.